When they declare "Yippee! Summer is officially here!" 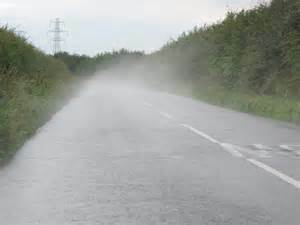 what that means here in Columbia SC is 100+ temps, 200+% humidity, frozen up a/c compressors, soaking wet clothing and afternoon storms that cause our (crumbling) roads to steam. Yep, you can actually see the steam rising. My sister can tell you first hand never, ever, walk home on a steamy road with nothing on your feet except pantyhose #burnedthecrapouttamyfeet #wontdothatagain...But, that's a whole other story! It also means we avoid using our dryers and ovens as much as possible because it just heats up the whole house. So, with all that in mind, let me share the ultimate summertime side dish that I got from a friend. It's one of Ina Garten's recipes and it is the most awesome salad to have on a hot day. 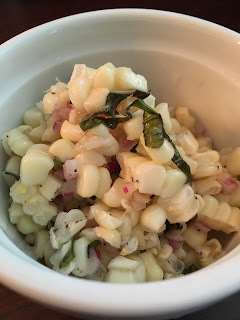 Cool, delicious fresh corn, red onion, basil. The cider vinegar is the trick. Take it to your next cookout, block party, potluck, or just whip it up at home for a weeknight side. Any day now, our famous Silver Queen corn will be hitting the markets and Silver Queen would reign supreme in this recipe. When you read it, it doesn't sound all that exciting, but trust me. It is delicious, it's cold, it requires minimal talent and minimal cooking.